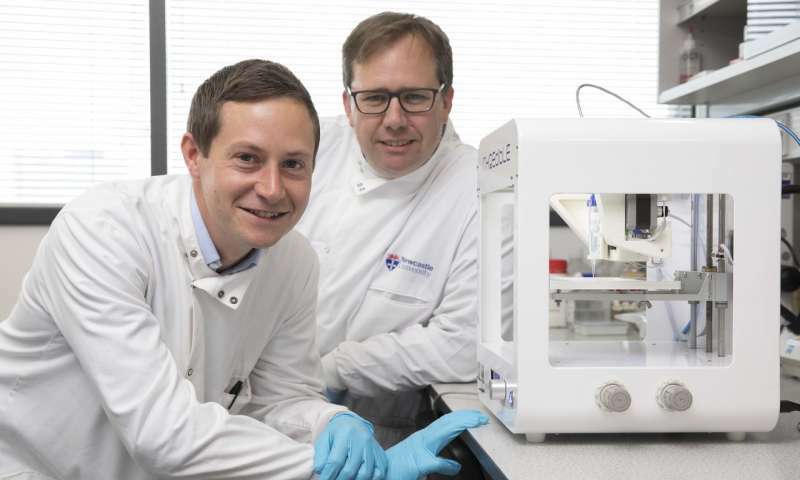 The first human corneas have been 3-D printed by scientists at Newcastle University, UK. The proof-of-concept research, published today in Experimental Eye Research, reports how stem cells (human corneal stromal cells) from a healthy donor cornea were mixed together with alginate and collagen to create a solution that could be printed, a 'bio-ink'. 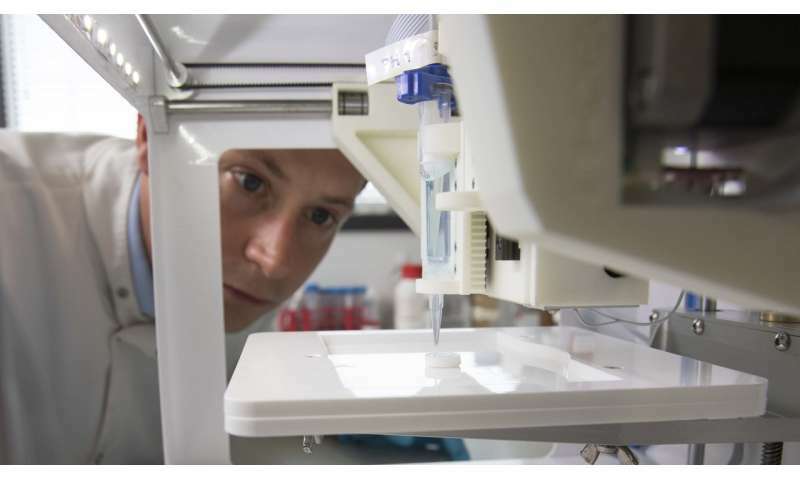 Using a simple low-cost 3-D bio-printer, the bio-ink was successfully extruded in concentric circles to form the shape of a human cornea. It took less than 10 minutes to print. The stem cells were then shown to culture—or grow. "Our unique gel—a combination of alginate and collagen—keeps the stem cells alive whilst producing a material which is stiff enough to hold its shape but soft enough to be squeezed out the nozzle of a 3-D printer. The scientists, including first author and Ph.D. student Ms Abigail Isaacson from the Institute of Genetic Medicine, Newcastle University, also demonstrated that they could build a cornea to match a patient's unique specifications. 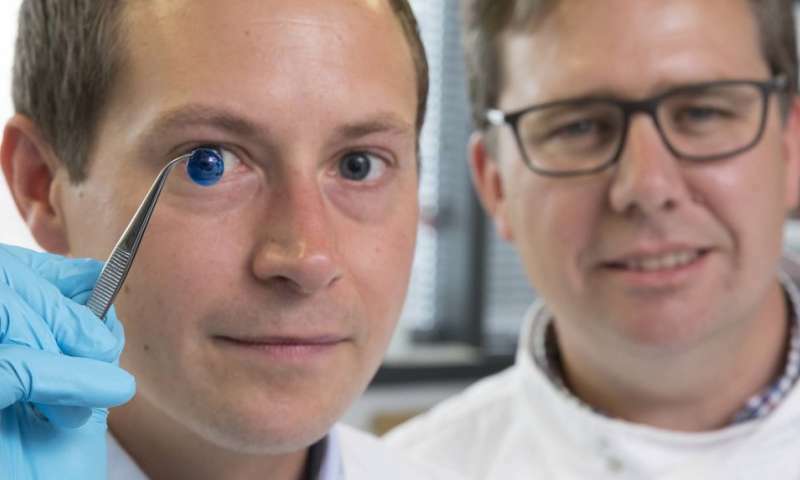 Professor Connon added: "Our 3-D printed corneas will now have to undergo further testing and it will be several years before we could be in the position where we are using them for transplants. More information: 3D Bioprinting of a Corneal Stroma Equivalent. Abigail Isaacson, Stephen Swioklo, Che J. Connon. Experimental Eye Research.